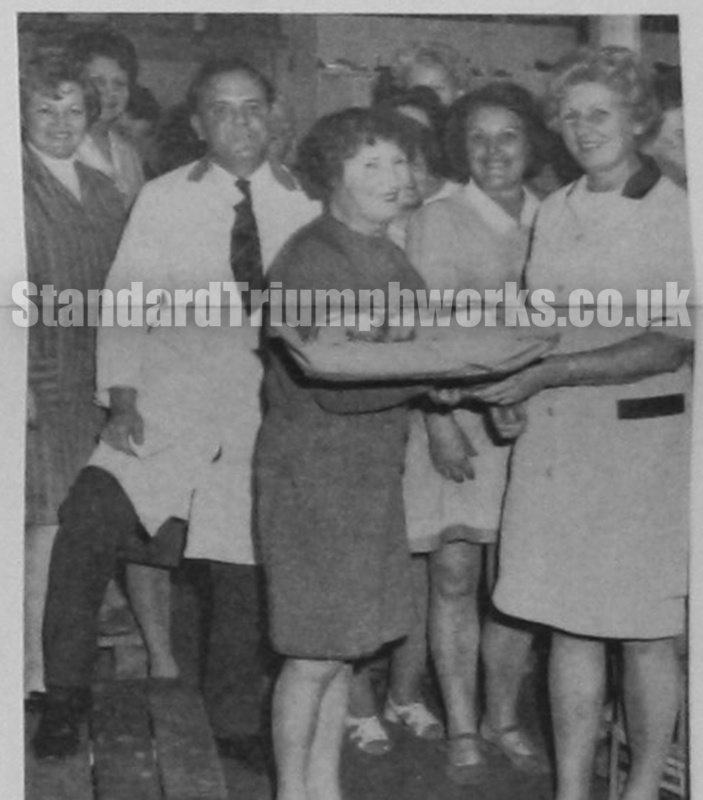 Florence Cross (60), an inspector in Trim and Finish at Canley, retired after 31 years’ service with Standard Triumph. Florrie started in 1940 in the buffet at Canley under the late Mrs Lloyd, and did this work throughout the war years. After the war she transferred to Inspection in No. 10 Stores, and later in the Paint and Trim Stores. Eventually she worked in Trim and Finish. On behalf of Florrie’s workmates foreman A. Jefferson presented a sum of money, and praised her for her service. Mrs Ludford presented a bouquet from the Inspection girls. Florrie will be living at Aynho, near Banbury, with relations. There she intends to breed Golden Cocker spaniels, and generally enjoy her leisure in our wonderful countryside.